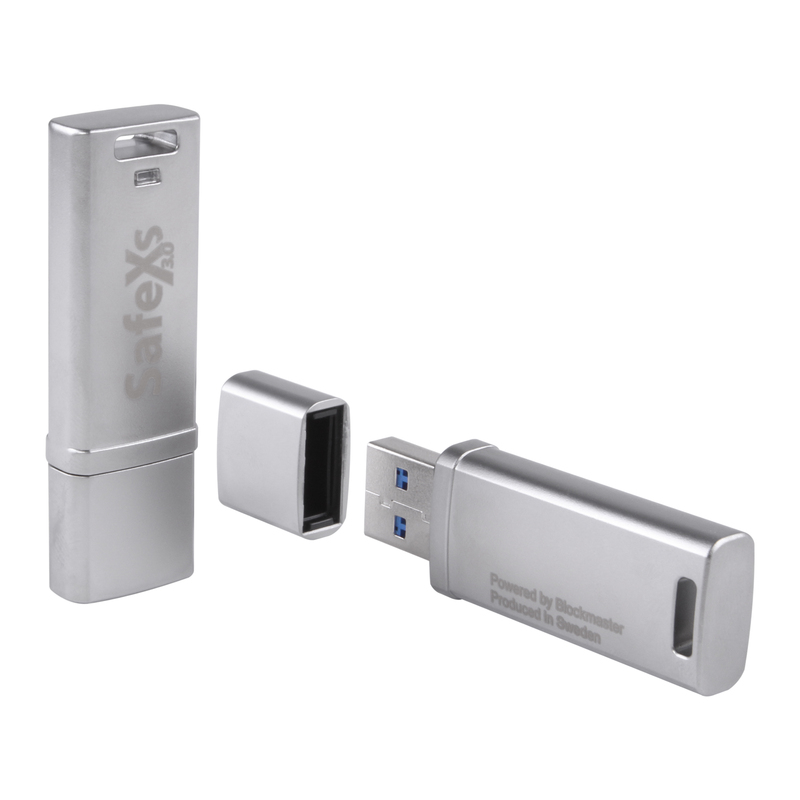 SafeXS Protector and DataLocker (FIPS 140-2 certified) are password protected USB Flash Drives with automatic hardware encryption. They secure stored information in an instant and user friendly way. Insert it, set a password and start using it. SafeXS Protector and DataLocker can be used as stand-alone units on both PC and MAC OSX out of the box or centrally managed with SafeConsole within a business environment. For more than 10 units, please call 01782 720229 for volume pricing. 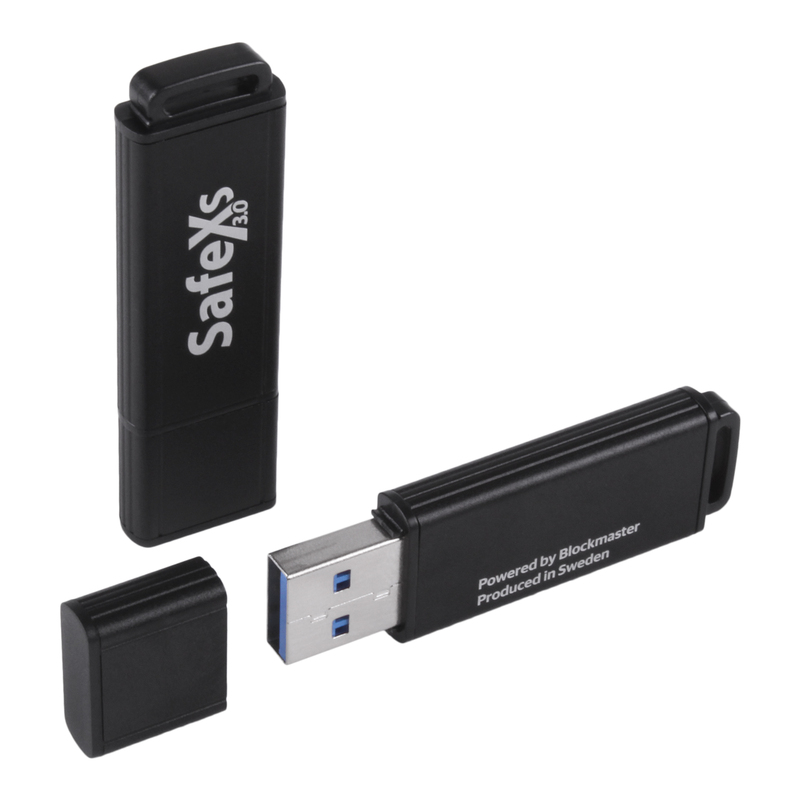 Please note: SafeXS Protector and DataLocker have superceded SafeStick. We are also happy to fulfill to other countries, call for shipping rates. Hardware encrypted to an internal Intel 8051 chip, no partitions or choices for users to make to avoid mistakes. Encrypt your mobile data without client software, plug and play movement from machine to machine leaving no trace files. SafeXS can adapt to your password policy and integrate with your Active Directory to link and register each device to each user for full auditing of data movement. Secure Encryption in hardware (AES256), hardware evaluated strong passwords. Hardcoded autorun file to prevent Conficker type autorun overwrite worms. Add SafeConsole central management to update policies, audit file use, reset passwords(PKI) backup data and mark units as lost or stolen with disable or reset. With the optional installation of Deepnet FlashID and StickApps VPN client can be used as a 2-factor token and secure VPN chassis instead of using a laptop. Fully compatible 32/64Bit Windows 7, Vista, XP, 2000SP4, MacOSX, Citrix and Linux. Currently working with The Visual Learning Company. Copyright 2009 day zero security. All rights reserved.